Why do we keep betraying the victims of terror? Shut up, move on and preferably forget. That is what society seems to expect of victims of terrorism. They are lectured by politicians about the need to look at the big picture, preached at by churchmen about the virtues of forgiveness, and regarded by our liberal elite as emotionally incontinent because they harp on about the need for justice. Yesterday, in freeing Abdelbaset Al Megrahi, Scottish Justice Secretary Kenny MacAskill said loftily that because the Scots defined themselves by their humanity, he was happy to show compassion to a dying man by returning him to Libya and his family. True, there are bereaved relatives who believe Al Megrahi is an innocent scapegoat sacrificed in the aftermath of Lockerbie to enable Colonel Gaddafi to buy international respectability. But those apart, there are thousands more relatives who are outraged and heart-broken that this man has served a mere two weeks in jail for each of the murders - and has now been allowed back home to a hero's welcome. How, they cry, can that be described as justice? And how indeed can it? It is in the nature of human beings to want people punished for their wicked deeds. It comes from a primeval instinct that society cannot function if evil is unchecked. Yes, in the United Kingdom, we rightly temper justice with mercy. That should not stop society from cherishing victims and chastising perpetrators, yet all too often victims are ignored, patronised and let down by our rulers. In 2000 I became involved with grieving people who were determined to pursue justice for relatives murdered by republican bombers in Omagh in August 1998. Let down by the criminal justice systems of the UK and the Republic of Ireland, and too decent and law-abiding to resort to the gun, they set out to pursue those they believed responsible for Omagh through the civil courts. As a fundraiser, friend and chronicler, I would quickly learn how badly our society treats victims of terrorism. A bereaved father, Michael Gallagher, who became involved with a victims' group in Spain because young Spaniards had died and been injured in Omagh, could not get over the contrast with the fate of terrorist victims at home. In Spain, they are treated with respect and consideration: In the UK, they are mostly told that today's terrorist is tomorrow's statesman, bygones should be bygones and they should get a life. 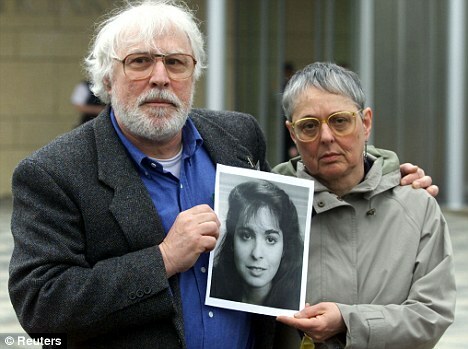 The Omagh victims were bullied, blackmailed and thwarted at almost every turn by the Irish and British political and legal establishments, but they are brave and dogged, and with the help of a band of supporters that included Daily Mail readers, they fought on and achieved a great victory. The victims of Colonel Gaddafi have, if anything, been treated worse. Tony Blair and Gordon Brown have kow-towed shamefully to that revolting sponsor of international terrorism. In 2007, in exchange for BP being allowed to seek oil in Libya, Blair did a deal with Gaddafi on prisoner transfer that would have led to Al Megrahi being permitted to serve his sentence in Libya. 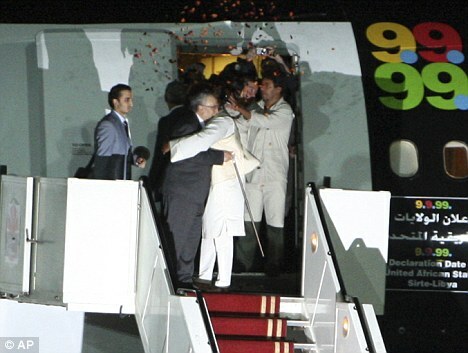 Victims saw sickening photos of their Prime Minister literally embracing a man they knew financed mass murder. To their credit - because they take terrorist victims seriously - the U.S. authorities kicked up so much fuss behind the scenes that the UK Government was afraid to deliver its side of the deal. But now, full of puffed-up nationalist anti-Americanism, the holier-than-thou Scottish executive has spurned the pleas of Al Megrahi's victims and sent him home anyway. And so they will, for our Government has been craven. In 2006, UK and U.S. victims of IRA bombs made from Semtex provided by Libya in the 1980s and 1990s sued the Libyan government in a U.S. court. After two years, the U.S. and Libyan governments agreed that outstanding claims against Libya would be dismissed in return for massive compensation for the U.S. victims. Despite pleas to Gordon Brown from the British victims, the UK Government neither asked the U.S. authorities to include the UK victims in the deal nor did a separate one themselves. 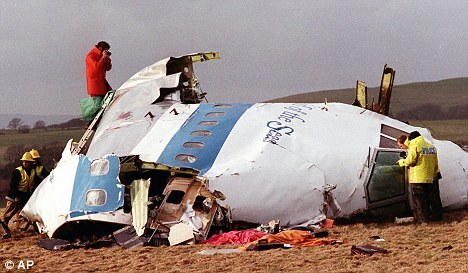 Rather than upset Gaddafi, the UK's new best friend, the victims were abandoned. It is terrible to lose a loved one, but infinitely more terrible when it is through design rather than accident and when an innocent is sacrificed on the altar of fanaticism. Victims of terrorism need the reassurance that their governments care for them, recognise the wrong done to them, and that justice will be done and seen to be done. In the case of Libya, the UK victims have been sold out by a Government afraid to stand up to a tin-pot - but rich - dictator. Gordon Brown should be thoroughly ashamed.